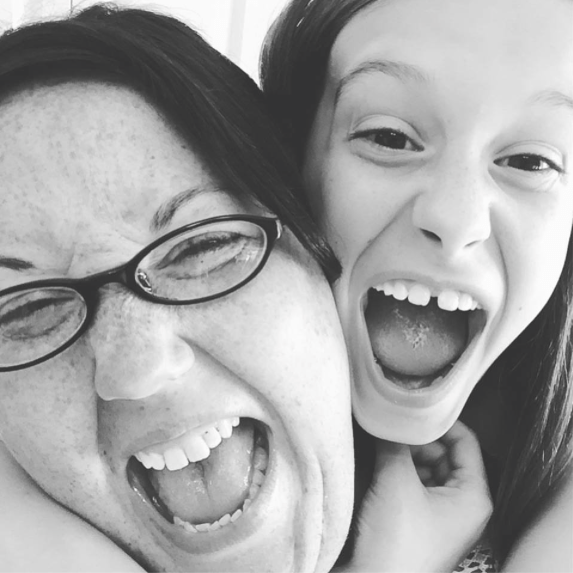 I’m so glad Kristen asked me to share a little with you about mentoring today! I want to tell you everything. I want to tell you about all of the goodhardness that happens, the breakthroughs of wisdom and insight. I want to tell you about all those seriously awkward first meetings that might be just as awkward by third meeting. All of these things are true. No matter what you’re wrestling with, afraid of, celebrating, or confident about, mentoring is for you. Can I share a couple of stories with you? My first mentor was Shirley. Shirley and I could not be more opposite if you created us that way on purpose. I talk. A lot. I laugh. Loudly. I have questions. All.The.Time. My ideas have ideas of their own. Shirley does none of these things. She is quiet. Her words are well-considered and meaningful, though few. Her laugh is very soft and ladylike, but her smile is radiant. I struggled a bit with this at first. I was contemplating a career change and I wanted to be very intentional about planning out all the angles: spiritual and emotional as well as financial and logistical. I would fire ideas and questions at Shirley, wanting her to get as drawn into my own passions as I was. I wanted a pep rally, and she wanted to listen. But one night, disgusted by my own circular thinking and wanting to move forward, but being held back by my own fears, it hit me: this is what Shirley is for. I called her out of the blue and said nothing more articulate than, “Shirley. I need you to come over. Can you be here in ten?” And she came. Three hours later, she prayed with me and smiled her radiant smile, and my mind and spirit were a bit more settled. I could see the next few steps forward. I am lucky to be a member of a church that has invested in its women by establishing a strong mentoring program. 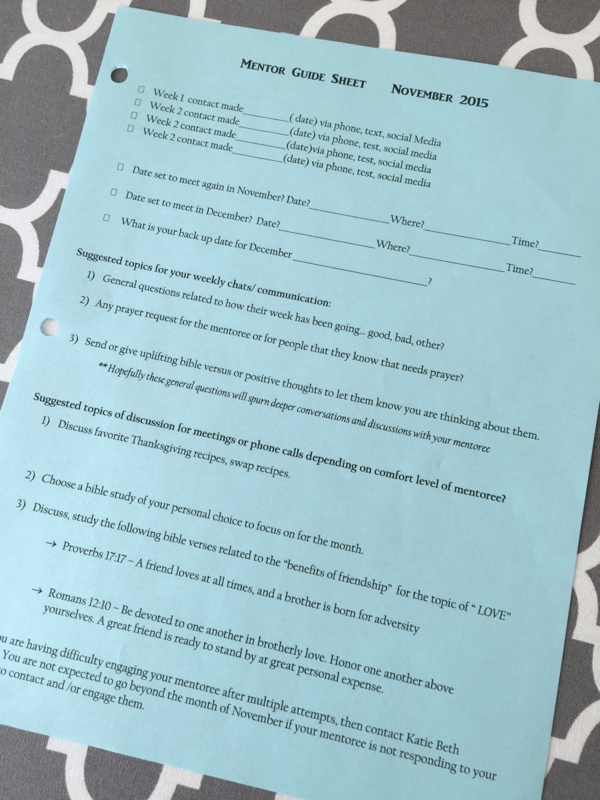 If you’re looking to create such a program at your congregation, I’d love to help you get started. 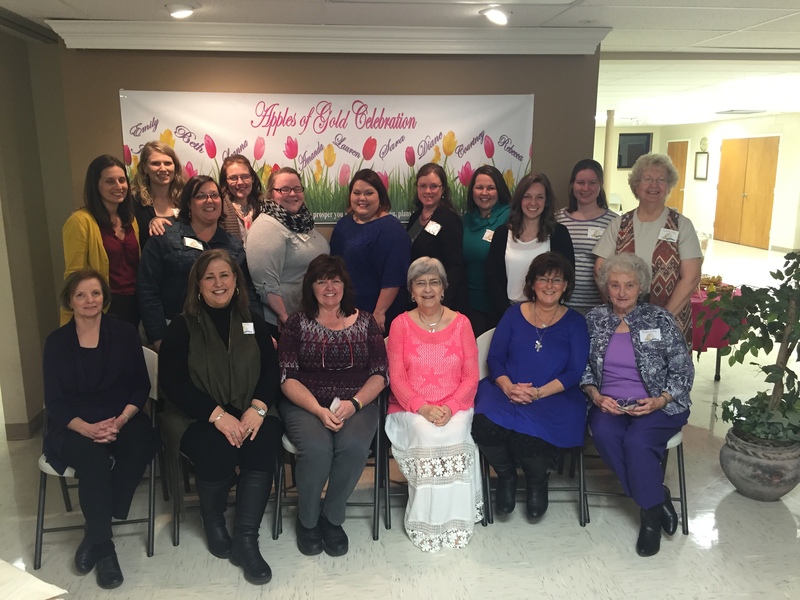 Ours really began as the second phase of another mentoring program, called “Apples of Gold.” The Apples class is based on a devotional book by Betty Huizenga. 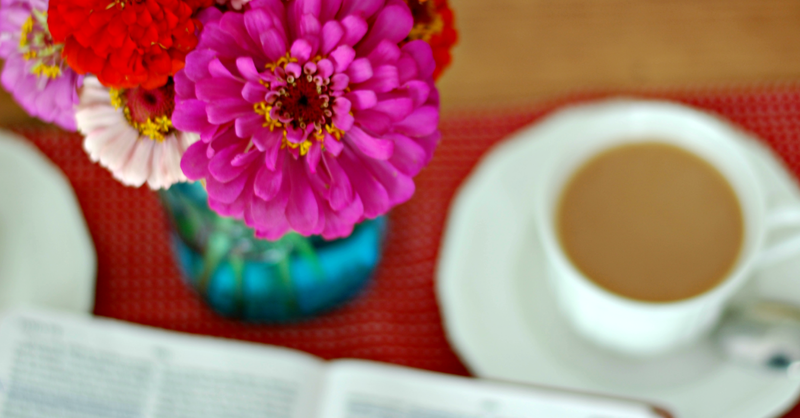 For six weeks, a small group of women is mentored by a dedicated group of teachers, supported by other women in the congregation. Those who don’t teach, and aren’t Apples, provide meals, decorations, even childcare. It really takes the work of nearly forty women to serve a small class of about twelve students. In our congregation, you only get to go through Apples once as a student. 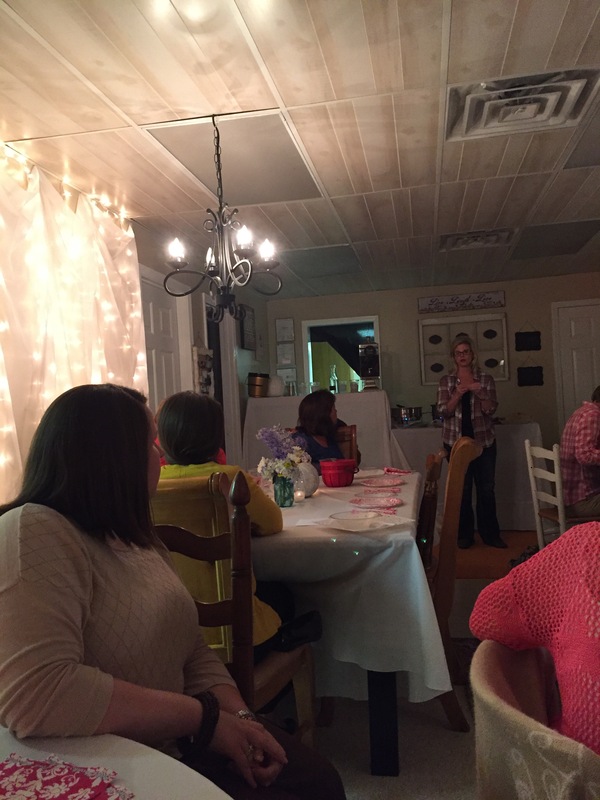 The women are recruited to the class, focusing on new members, new believers, women seeking encouragement or restoration, or women who have previously been unable to participate. Over six weeks, there is so much openness, sharing, bonding, and eating. 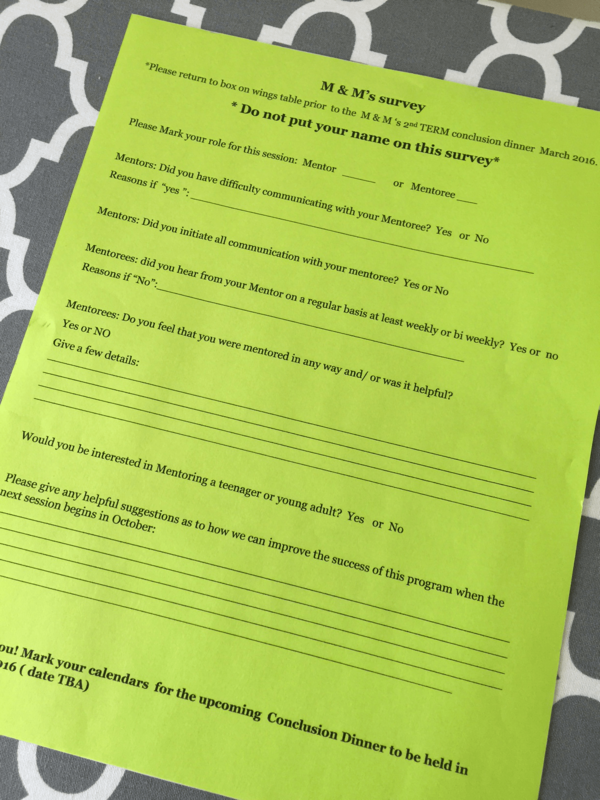 Mentoring: one-on-one relationships designed to address specific needs and questions. She chooses to either serve as the mentee or the mentor. She is then paired with someone, based on her expressed needs or areas of expertise. I have been both a mentor and a mentee. It’s tough, but good – but tough, y’all. Ministering: a chance for a woman to self-identify a way in which she can meet a specific need within the church or community. We equip her with advice, resources, and help her make connections. Women who minister look like Janice, who crochets baby items for the local pregnancy center, or Nicole, who transports elderly women to church and home at night. All ministering women are asked to be in intentional prayer for their area of service. Meeting: a chance for a small-group of women to get together, mainly for the purpose of getting to know each other better in the comfort of a social situation. No one here is the leader of the group, but rather roles change as women express needs and seek guidance on spiritual issues. Currently, my group has six women, including our new youth minister’s wife and two older women who are lifelong Christians, but have never participated in church activities. We know so little about each other, but we’re committed to doing so. We meet at least once each month, but also talk individually at least once each week, and keep each other in regular prayer. Katie and I prepare packets for every participant. 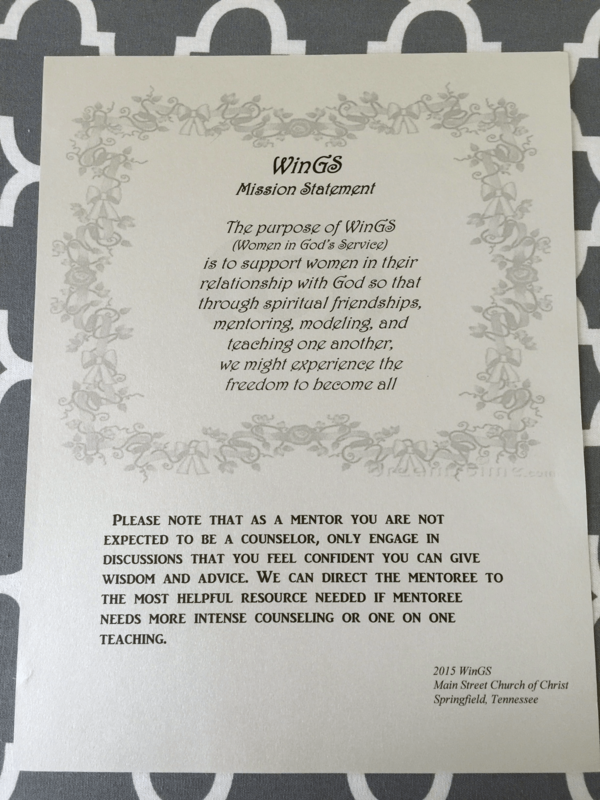 Each packet includes calendars, checklists, a statement that reminds them of the commitment we’re asking of them, the mission statement for WinGS (Women in God’s Service – our women’s ministry), and a monthly guide for possible conversation starters. You know. For those who might actually need help starting a conversation with a total, if well-meaning, stranger. 😉 And finally, we match people up. We do this based on expressed needs, the talents and experiences of the women, and on people and information that we are trying to protect. And prayer. Boy, do we pray over these selections. 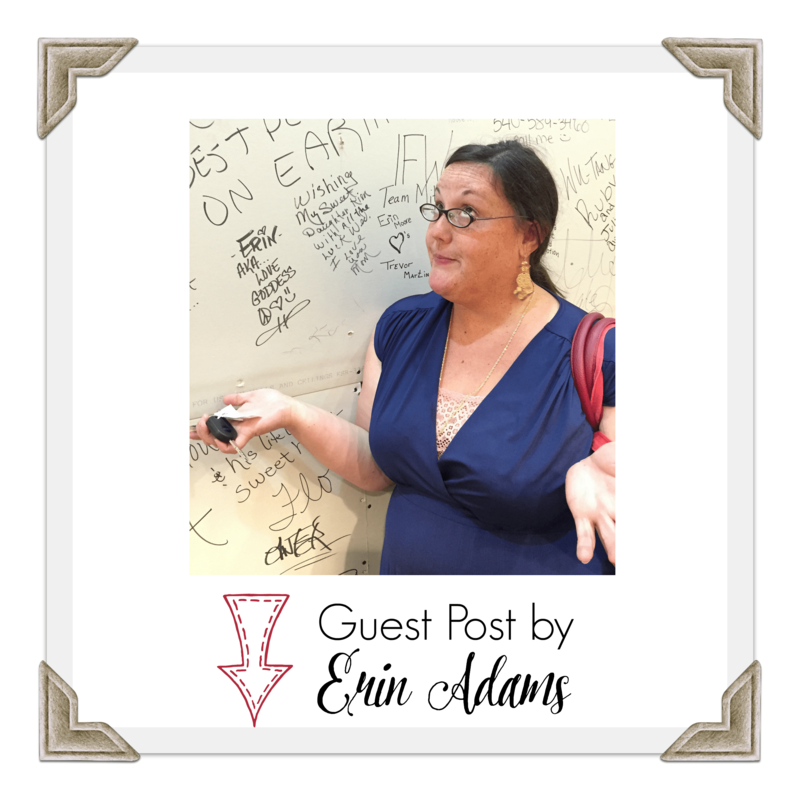 Erin Adams thinks there’s a reason self-discipline is at the end of the Fruits of the Spirit. She’s seeking a heart of quietness, so she’s paying attention to the small details of life. She tells stories all day as the Director of Education & Interpretation at Andrew Jackson’s Hermitage – and daily she tries to find new ways to make meaning out of the past. Erin believes that everyone deserves everyone’s best. She loves coffee, more than is good for her. She knits, she makes jam. Occasionally, she talks back to the radio. Erin has taken up poetry lately, and she’s working on being a disciplined writer. Thinking about birthing babies for a living. Wishing she could be hired as someone’s Chief Ideas Officer. If she had children, she would name them after cool historical things like Mayflower. She loves you. Like this post? Share it on Pinterest or Facebook!